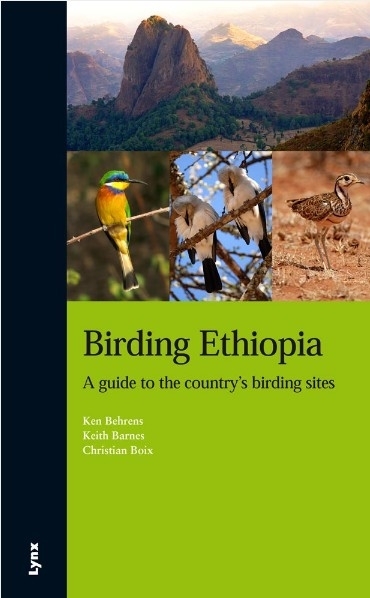 Ken Behrens is an author and bird photographer who works as a tour guide for Tropical Birding. He is based out of Cape Town, South Africa, but has extensive experience across North America, the neotropics, and Africa. Having grown up in the high deserts of the American west, he is fascinated by arid places, and hence was naturally attracted to Ethiopia’s vast deserts and savannas. Ken is also keenly interested in seabirds, seawatching in particular, and is currently working on a guide to eastern US waterbirds in flight. Keith has birded Africa intensively for over 25 years, and led tours on the continent for the last decade as a guide for the company Tropical Birding. 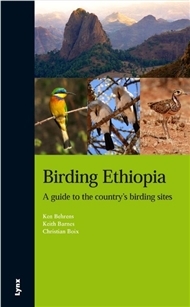 He has a particular fascination with taxonomy, endemism, arid zones and larks; all subjects that are well represented in Ethiopia. Keith, also a keen conservationist, edited The Important Bird Areas of southern Africa (BirdLife South Africa, 1998) and The Red Data Book of Birds of South Africa, Lesotho and Swaziland (BirdLife South Africa, 2000) and has written over 70 popular and scientific articles on birds, birding and travel in Africa. Christian has birded Eurasia and Africa for over 30 years. He is currently based in Cape Town where he works and leads tours for Tropical Birding. Best known for his academic contributions on seabird by-catch and prevention measures in the early 90’s, he also contributed extensively to The Important Bird Areas of southern Africa (BirdLife South Africa, 1998), and continues to publish both academic and popular articles on his pet research topic – the breeding biology of African hornbills.